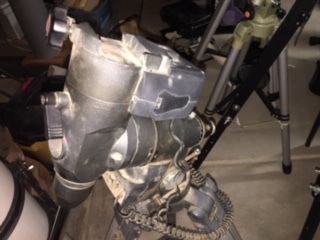 Would anyone possibly be able to identify this mount as to manufacturer and model/type? Also, what hand controller would go with it? Looks like a Meade either LXD55 or 75. In either case, the handcontroller would be the Auto or Audiostar 497. Thanks for sending me down memory lane, Pat. Back to the old days of Uncle Rod's SCT usergroup. I even found a mention of myself in that PDF, way way down on page 91. The mention (accurately) makes me out to be a bit of a masochist, but that's OK.
LXD55. The black color and the tripod give it away.